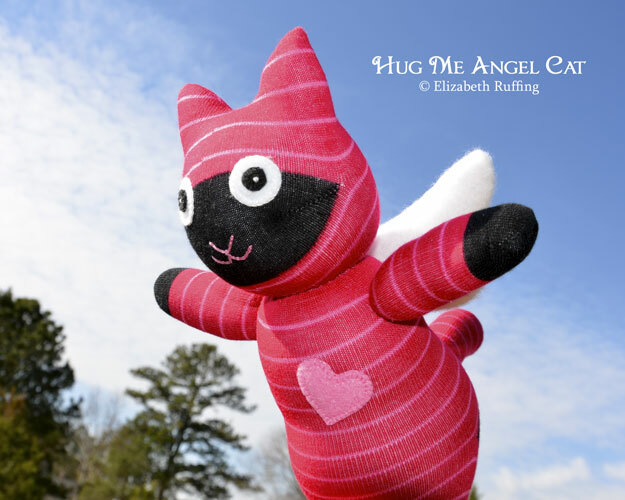 Today, I put the finishing touches on two new sock dolls, a Hug Me Angel Cat and a Hug Me Kitten, both red and pink striped, and photographed them. I think these came out extra cute. 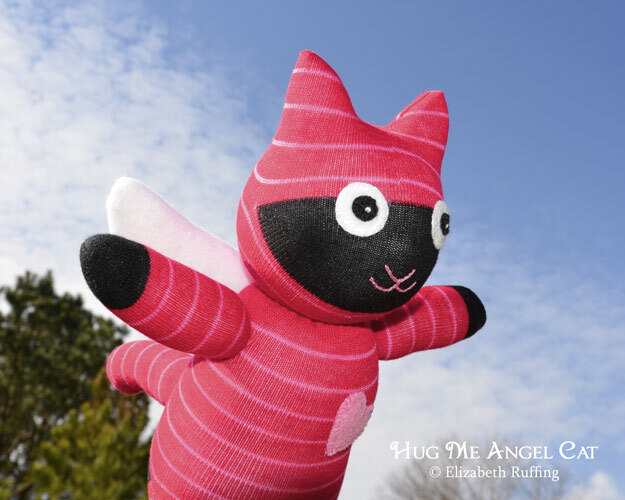 The first is a Hug Me Angel Cat sock doll. Same as before, this kitty is helping out real-life cats and kittens. A portion from his adoption will be donated to an animal charity. 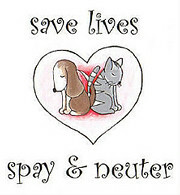 He (or she) will come with a personalized hang tag too, with his adopter’s choice of a name, or “For + a recipient’s name”. 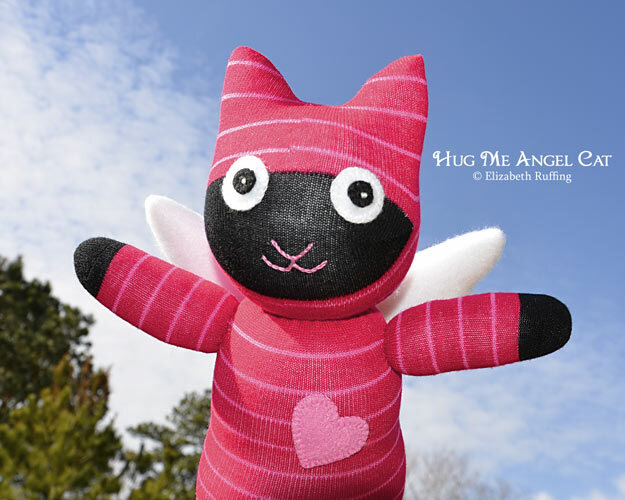 He has fuzzy white fleece wings and a pink fleece heart. 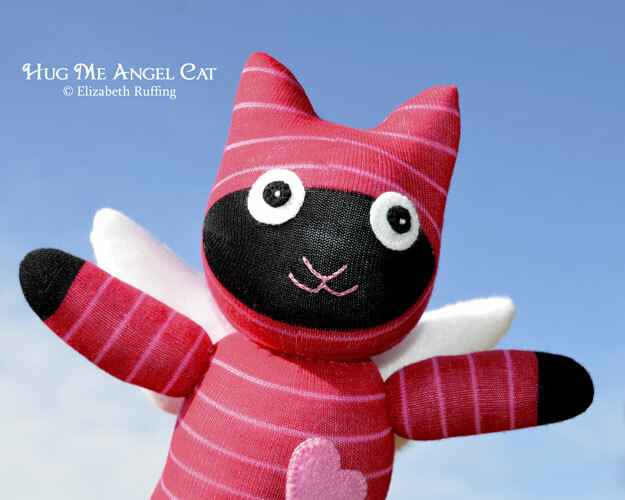 His features are all hand sewn on, with embroidery floss in a blanket stitch. I’m enjoying how he looks like he is flying here and there in my photos. I was lucky to have a blue sky and some white clouds just long enough to take his pictures today. 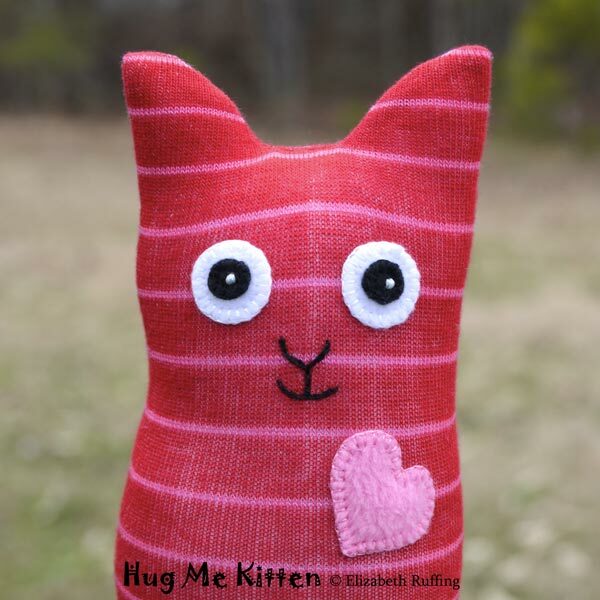 I also made a smaller sock kitten, in the same red-and-pink stripe. 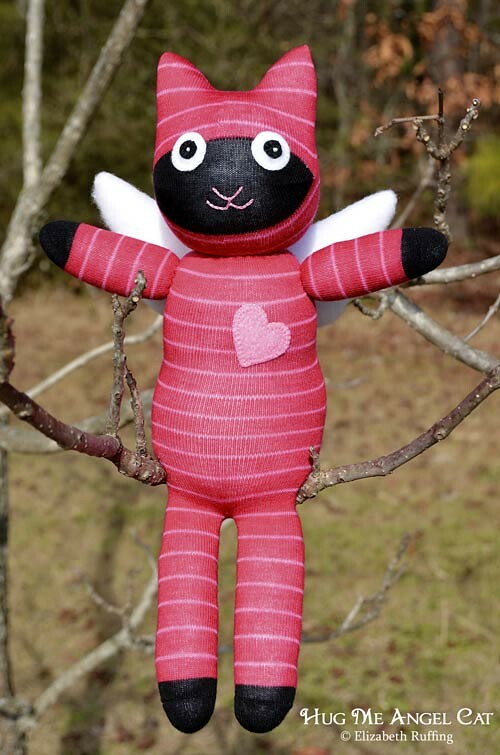 He or she also has hand embroidered details, and a pink fleece heart. I finished him in the nick of time to get his photos too, and then it got all gloomy again outside. I’m glad I was able to get these posted today. They would both be great Valentine’s Day gifts. They are both over in my Etsy toy shop right now. 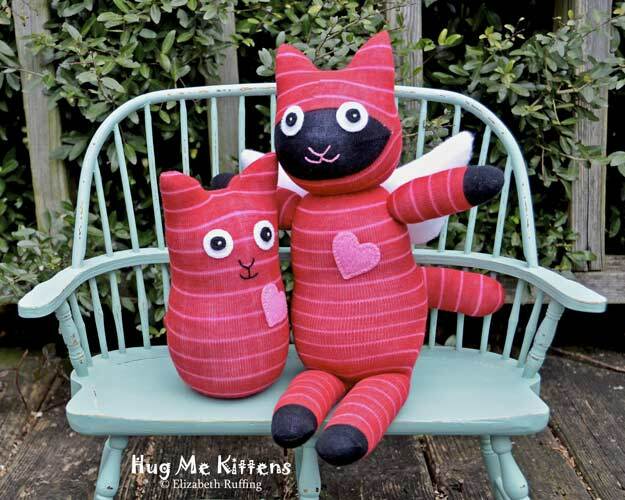 Also perfect for Valentine’s Day are Echo and Tommy. 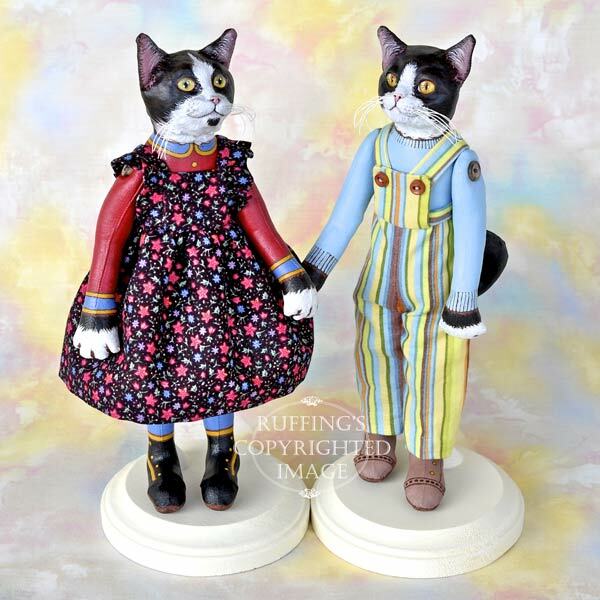 These are new, original, one-of-a-kind black-and-white tuxedo cat art dolls by Max Bailey. I am finally getting to editing some of the doll photos that got backlogged before the holidays. There are quite a few more beautiful and handsome dolls still to share. 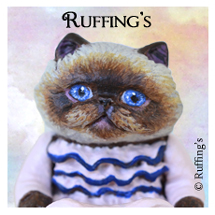 Echo can be found here on our Ruffing’s blog, and Tommy can be found here. They each have their own story. 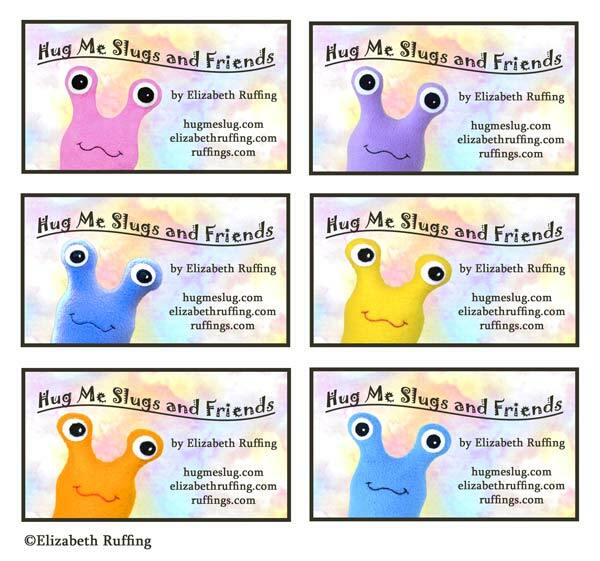 I had been thinking for a long time that I should have business cards for my toys, but couldn’t decide where to order them. So, I designed and printed them myself. 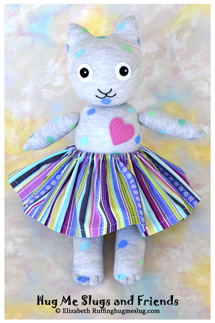 Since I love rainbow assortments of things, I ended up making them in several different cheerful colors. 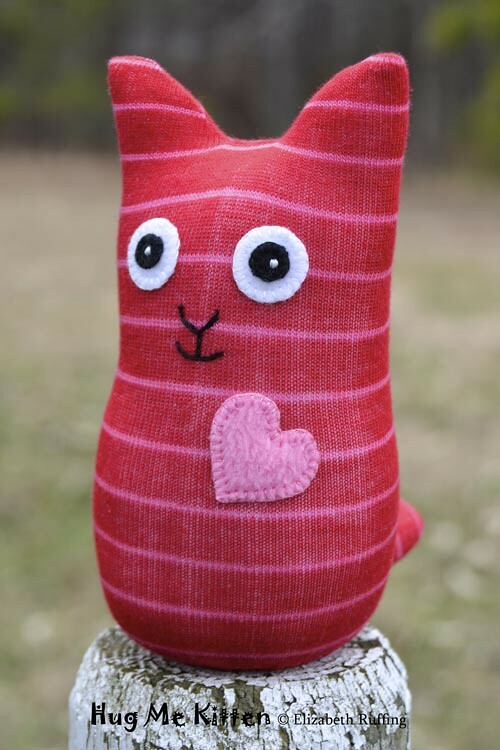 I handed out my first one last weekend, to someone who was feeling blue, and, right away, it made him smile and laugh, even though he’d been wiping tears away a minute before. 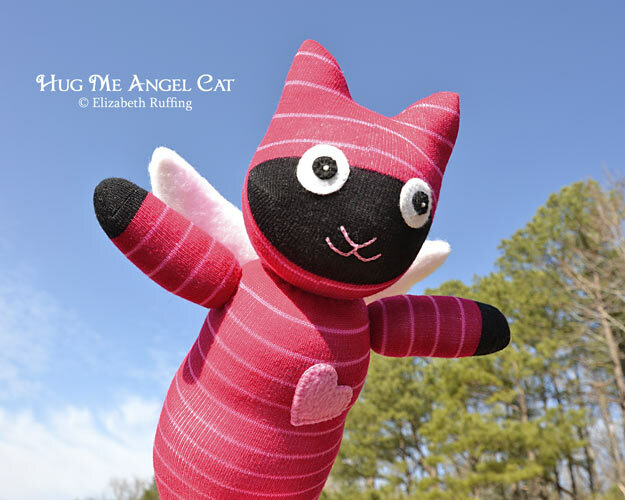 That reminded me that what I’m doing has a positive impact, and that my toys spread good cheer and comfort. I’ve got toys heading out to peoples’ Valentines, and I’ve got toys going out to lift the spirits of people who have lost loved ones. Some of them head off to welcome new babies and to help people celebrate birthdays, and they make people smile.